Because I have an entire blog devoted to ants, I don't talk about them here often. 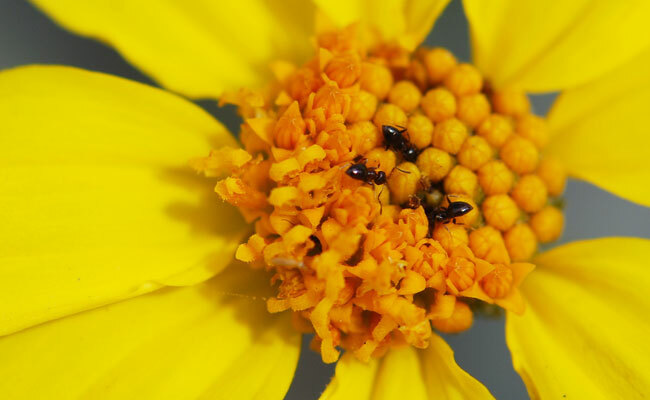 Let's make an exception for the tiny dark rover ants visiting brittlebush flowers this week. 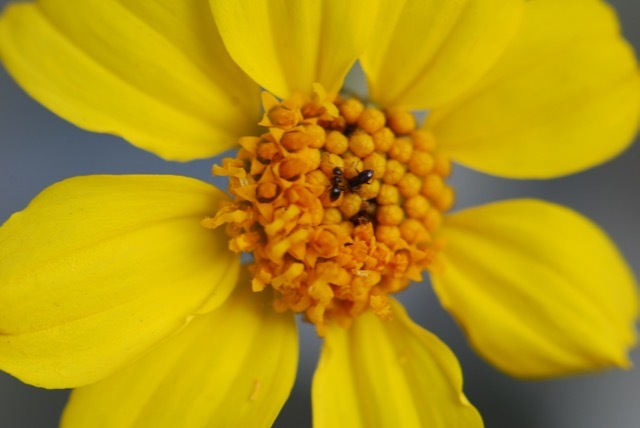 The ants are collecting nectar, like other insects do when they visit plants. I keep an eye on these little guys because they aren't from Arizona. 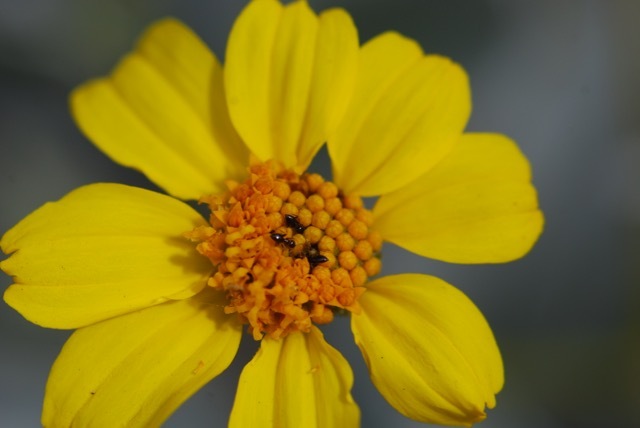 They are native to South America, particularly Argentina and Paraguay. They were first seen in the U.S. around 1978. We often find dark rover ant nests in flowerpots, which mean it is easy to move them from place to place accidentally. I sometimes discover rover ants at the tops of tall plants. I wonder how they manage to find their way to such heights. Imagine what the world must look like to something this small.